Sixty percent of Alzheimer’s patients will get lost at least once, with nearly half of them risking death if not found within 24 hours. While GPS devices in pockets or clipped to clothing can be lost or removed, people are less inclined to take off their shoes. Patients exhibiting signs of paranoia—another aspect of the disease—are also less likely to reject a familiar object. And for all intents and purposes, it looks and wears like a regular shoe, except for the miniature locator in one heel and counterweights on the other for balance, of course. Expected to be available sometime next year, the shoe will come in a variety of styles and cost roughly $200 to $300 per pair. Sixty percent of Alzheimer’s patients will get lost at least once, according to Carle, with nearly half of them risking death if not found within 24 hours. The shoe may raise Big Brother-like concerns, but it’ll also allow its wearer to live outside a nursing home, while allowing family members and caregivers to stay one step ahead. People living with Alzheimer's disease or dementia have a tendency to wander off, slipping by even the most diligent of custodians. 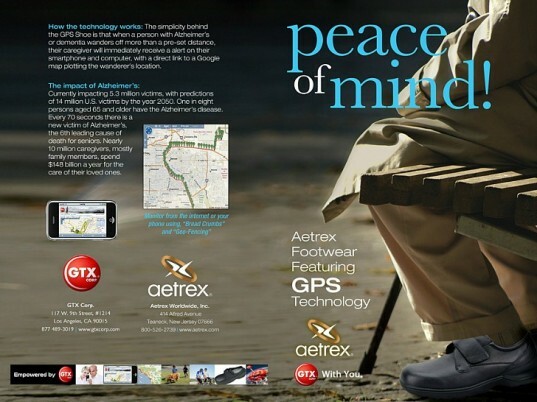 A new shoe, outfitted with Global Positioning System (GPS) technology, however, promises some relief to the 15 million Alzheimer�s and dementia caregivers in the United States alone. 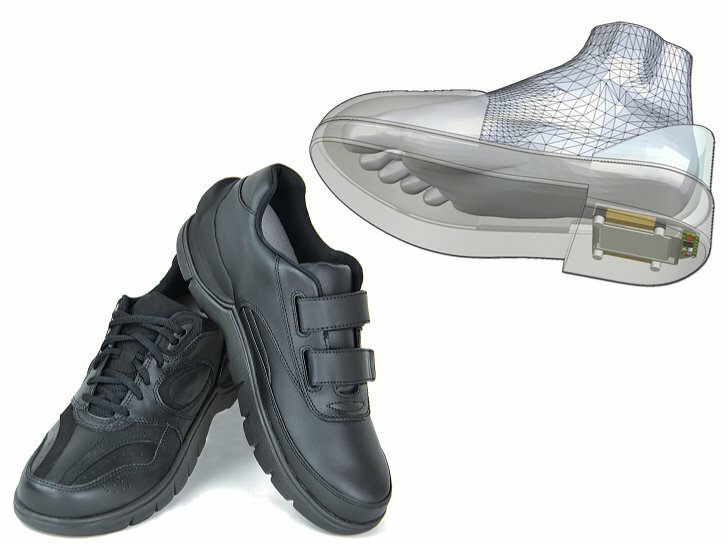 Designed by GTX, a company that specializes in miniaturized GPS devices, in partnership with footwear manufacturer Aetrex, the GPS shoe tracks its wearer's movements in real time, alerting relevant personnel via smartphone whenever their charge drifts beyond the designated "safe zone."